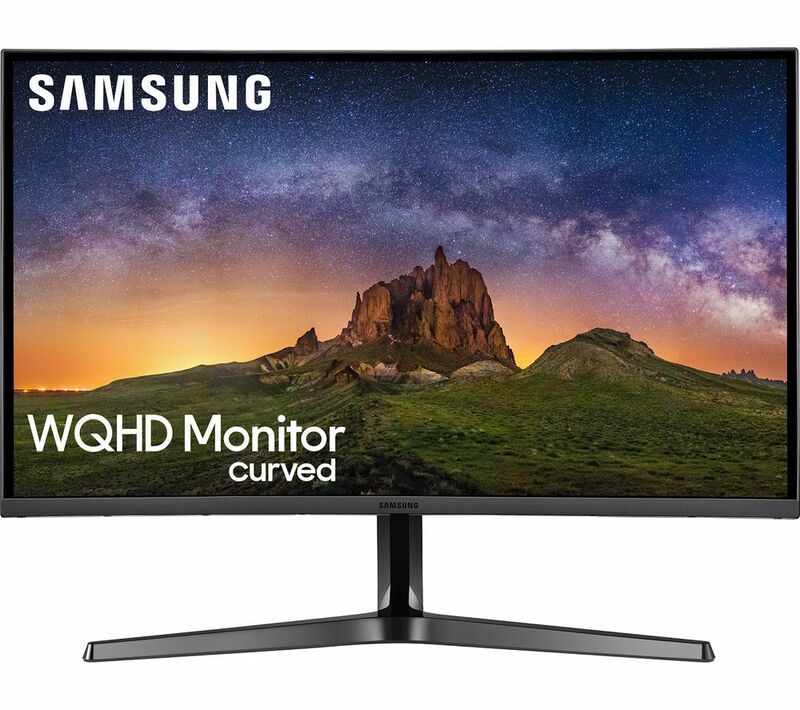 With up to 1.7 times the pixel density of Full HD, the Samsung LC32JG50QQUXEN Quad HD 32" Curved LED Gaming Monitor delivers incredibly detailed, sharp images. And with a wider workspace that shows you more of the websites, media and games you're looking at, you won't have to zoom in and scroll for ages. The speedy 144 Hz screen refresh rate gives you super smooth on-screen motion that's great for fast-paced gaming and action-packed movie watching. When you use a flat screen monitor for a long period of time, your eyes make constant little focus shifts that cause strain. The LC32JG50QQUXEN's curved display means your eyes stay on a constant focus over the whole screen, giving you a more comfortable viewing experience. The Samsung LC32JG50QQUXEN has a game mode, which instantly adjusts colour and contrast levels for different game genres and entertainment. So whether you're creeping around in an RPG, attacking enemies in an FPS or just relaxing and watching a movie your screen, will make sure everything looks great.